Jonathan Budd has decided to re-open his popular Futuristic Traffic course for 36 hours following requests from those who weren't able to join earlier this month according to StrategicProfitsFormula.com. Anyone who wanted to become a member the first time, but missed out, should seize this opportunity. Futuristic Marketing will be re-opening for a brief 36 hour window this week following multiple requests. The course closed earlier this month after a highly successful launch to new members. Futuristic Marketing is a combination of coaching and software which helps entrepreneurs and businesses owners drive traffic, build an audience, and become more influential with that audience to greatly increase sales. Budd, an online entrepreneur who reportedly built a $10 million dollar fortune by the age of 27, says that he has been receiving a lot of emails from people who didn't realize the course was going to close to new members. "This is probably the last opportunity to become a member of this course for those that were too late the first time around." 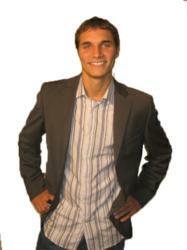 said Ayers of StrategicProfitsFormula.com, which reviewed the course. The course has a number of factors which set it apart from other courses teaching students how to make money online. First of all, the course is divided into modules and each module is taught by an entrepreneur who is highly successful in that area. Second, the course comes with software which makes it easy to create Facebook landing pages and software to promote and conduct either live or automated webinars. A large number of successful online marketers are using webinars to increase their conversion rates and overall sales. According to Budd, the course will only be available for sale from Tuesday, August 14th, at 12 PM EST until Wednesday, August 15th at midnight EST. Those interested in purchasing the course should visit the official site here. Budd has announced that he has no plans to re-open the course, but if he does it will most likely be sold at live events only for four times the current price.